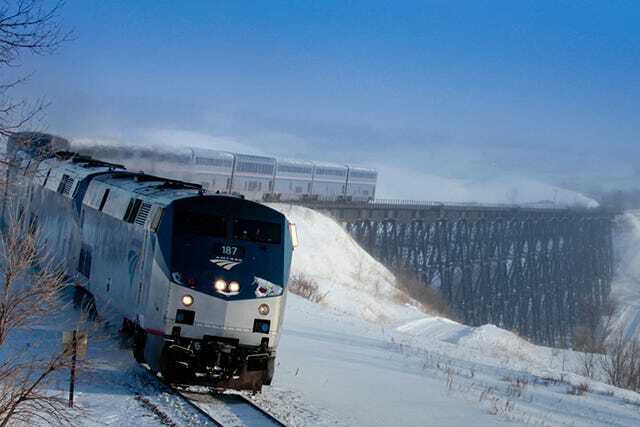 Amtrak To Launch Free Writer's Residencies — Sign Us Up! All aboard, writers — Amtrak has plans to send you on a journey. The company recently announced its "writer's residency" program, which would allow authors the space and time to travel throughout Amtrak's rail networks. Oh, and did we mention that it won't cost a penny to said writers? Yeah, it sounds like a literary dream come true. The Wire reports that Amtrak execs read Alexander Chee's PEN Ten article, where he proposed a writer's residency program aboard the trains, and the consequent tweets by various writers that had echoed Chee's enthusiasm. Amtrak, well, hopped on board, sending one very lucky Jessica Gross on a trip from New York City to Chicago. She recounted her experience in The Paris Review (proceed with caution — wanderlust like this is infectious). And now, Chee himself has set up his own test run, and you could be next!